Earlier this week, we took a brief look back at the highlights from the first three months of the year. Today, we close out the 2013 Mid-Year Report Card with action from the past three months. It started off like gangbusters. Cage Fighting Events set up shop at the Heart of St. Charles for a night of excellent pro/am action. Chris "Stump" Heatherly remained undefeated as he put together his strongest showing to date with a unanimous decision over Gert Kocani. Also on the card, Alex White and Adam Ward put on a performance that will surely garner a Fight of the Year nomination. White was able to come away with the split decision victory. Other big winners on the night were Sal Woods, Jake Buehler and Hugh Pulley. Midway through the month bummer news broke as UFC welterweight Lance Benoist suffered a break in his leg and was forced to pull out of his upcoming fight. St. Louis' Benoist was slated to take on Paulo Thiago (14-5) in Brazil on May 18 as a part of UFC on FX 8. Also in UFC-related news, Justin Lawrence from 21st Century Martial ARts lost by submission to Daniel Pineda. And Finney's MMA middleweight Adam Cella suffered a tough loss to Tor Troeng in Sweden. Lawrence and Cella would eventually be cut from the UFC due to those loses. On the amateur side, Nemesis Fighting Alliance returned to familiar ground at the Farmington Civic Center. With the addition of live music by the Greek Fire, the house was buzzing with over 1,600 paid attendees filling the stands. In the main event, Tony Souders furthered his case as the area's top amateur improving to 11-1. Synopsis: There was decent action, with CFE dominating the coverage, and deservingly so. Benoist's break was a tough one as were the loses by Lawrence and Cella. Rumble Time Promotions Cinco de Mayhem kicked off the month with an action-packed card. Jake Collier looked dominant, yet again, in the main event, winning over Quartus Stitt in the first round. Collier would not get out of the fight unscathed, a broken hand has the young middleweight still on the shelf. Other top performers on the night were Javon Wright, who looked sizzling in his win over Ramon Barber. Destruction MMA's Shane Moffitt made quick work of Yohance Flager and Jason Slattery won in his pro debut. At Shamrock FC: Annihilation, Garrett Gross made quick work of his opponent Nic Anderson winning the main event of Shamrock FC: Annihilation in just under a minute. Marc Godeker also came away with a big win on the night. On the amateur side, MMASF had a stellar main event where Bo Kunz defeated Clay Mitchell. In national news, Rob Washington was handed a quick defeat down south fighting for CFA. St. Charles MMA's Alp Ozkilic garnered his biggest win so far when he flattened Antonio Banuelos in 30 seconds to win at Legacy Fighting Championships 20. The victory put Ozkilic in the driver's seat for Fighter of the Year in the St. Louis region. Synopsis: Action aplenty during this 31-day stretch. The month started off with two amateur events. Proving Grounds and Cage Championships held events on the same night and were unfortunately, sparsely populated. The two men left standing in the Proving Grounds Fight League Grand Prix lightweight tournament were determined. Though they took two different paths to get there, Justin Lankford and Montuelle Prater are slated to meet in the championship on Sept. 7th. Out in Sullivan, in the main event, Daniel Schaab continued his winning ways, dispatching Denver Sells by decision in what was by far the best fight of the night. Schaab and Sells battled tooth and nail for three rounds with the middleweight from Destruction MMA getting the nod from the judges. St. Charles MMA lightweight, and the 2012 Fighter of the Year, Zach Freeman suffered the first loss of his career when Jake Lindsey connected with a solid shot that led to a first-round victory. Freeman was fighting on AXSTV as a part of a Titan Fighting Championships card. Shamrock FC celebrated 15 years of service with a blockbuster of a card and show at its River City Casino debut. It was first-class all the way as a packed house was allowed to witness SFC at full throttle. Cella made a dramatic return to the area with a vicious knockout. Cella, making his fighting debut at welterweight, he flat lined Justin DeMoney in the evening's main event. Brian Grinnell, Josh Weston, and Ken Porter were other big winners on the night. Midway through the month, Darryl Cobb was on national television for his tryout on the Bellator series "Fight Master." Cobb looked strong early in his bout but went on to lose a decision. The month closed with a super card with a strange ending. MMASF's Journey to the Top 2 set up at the St. Louis Sports Complex and featured seven pro fights. It was supposed to be eight, but the main event, featuring Luigi Fioravanti vs. Heatherley didn't transpire due to Fioravanti getting a bad case of food poisoning. Big winners on the night included Eric Irvin, Jimmy Donahue, Flager, and Dan O'Conner. By the looks of things, Fioravanti and Heatherley will finally square off in September when MMASF returns to action with another pro/am card. Synopsis: It was a wall-to-wall month of tap outs and knockouts. If the Fioravanti, Heatherley fight would have transpired, we would have given a "+"
While July has been quite so far, Fight Hard will return to the Family Arena next week with some interesting amateur pairings, Cage Champs heads to Rolla and Rumble Time will put together a pro-am show on Aug 2. 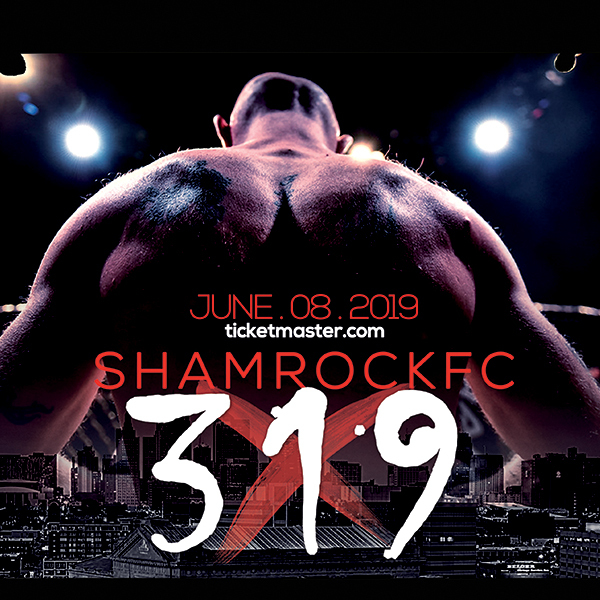 Shamrock FC is back at the Lumiere on Aug. 10. Hang on, the rest of the year will be a wild ride and you know we will be there letting you know what's what.